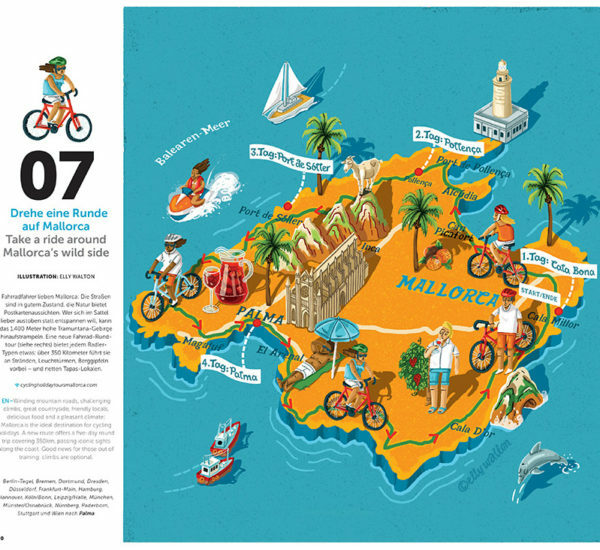 Ink Publishing got in touch and asked for one of my illustrated maps for their inflight magazine. 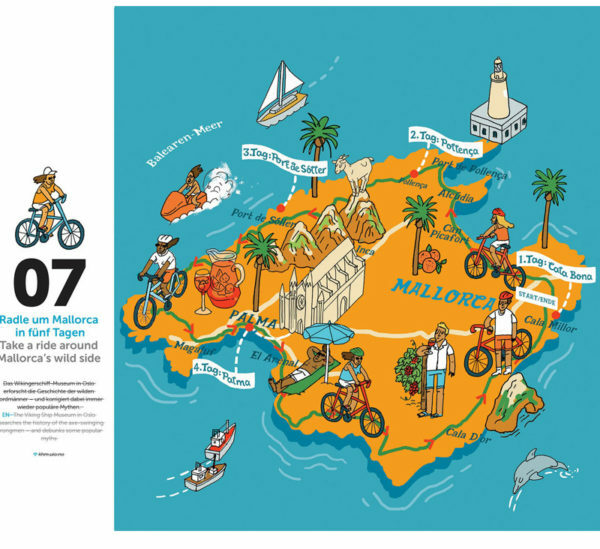 The map of Mallorca features a cycle route around the island taking in some famous beauty spots and water sports. The second image is a rough sketch for the client. There are lots more examples of my map illustrations on my Hire An Illustrator and website portfolios!